See our Maps and Directions page for more information. The first appointment includes the initial evaluation and the first treatment and is about 1 hour and 15 minutes to 1 ½ hours. Subsequent visits are approximately 30-45 minutes. Please note that insurance carriers change policies and names regularly. All insurance cards will be verified prior to treatment or upon your initial visit. 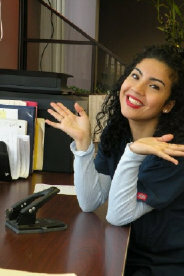 For other Questions regarding your insurance and treatment, you can contact our billing department at (516) 333-3253. Patients coming in for the Lymphedema Treatment Program will have to purchase supplies and bandages (if necessary) as described in your initial consultation. Most insurance carriers do not cover the costs of the necessary bandages, however, some insurances do cover the costs of custom made or ready-made garments. All insurances differ on policy. Lymphedema Cancellation Policy: It has become necessary to implement this cancellation policy for our lymphedema patients due to an increase in last minute cancellations. a $60.00 cancellation fee will become your responsibility not the insurance carriers for appointments, which are cancelled less than 24hours in advanced. Calls that are received after normal business hours for appointments scheduled for the following business day will not be considered as sufficient notice. .We try to accommodate our patients and therefore, schedule your appointments well in advance of the actual appointment date. This should provide ample opportunity to make changes in your appointment if a conflict occurs in your schedule. Although we understand that there are those unforeseeable circumstances, which might require a last minute cancellation. We will work to fill this appointment to avoid any fees. However, if we are unable to substitute an appointment in your allotted time, the cancellation fee will remain in place. This policy is being implemented in order to prevent future disruption in scheduling, as well as infringing upon the rights of other patients who are waiting to receive care. As you are aware the treatment time allocated is usually 1 hour with the Lymphedema therapist followed by ½ hour of therapeutic exercise combined with joint mobilization / range of motion modalities. This form of treatment requires a great deal of hands on therapy, with cancellations the night before or on the day of your appointment creating an atmosphere of unnecessary stress to all staff involved. We hope that you understand the necessity for this policy. Please make every effort possible to keep your scheduled appointment. There are some exceptions for the Therapy Cap. If you have Medicare and you are not sure if you have any benefits left with a particular condition, call our office and we will let you know. What will I have to pay for each visit if I have medical insurance? Depending on your individual benefits, co-insurance, deductible and co-payments may be applied. In cases of private pay, payments plans may be designed or tradition payment is given following the service date. If I do have a co-payment or deductible, what forms of payment do you accept? We accept cash, personal check, all major credit cards, debit cards and money orders. Do I need to see a doctor before coming for physical therapy? In our facility, yes you do. 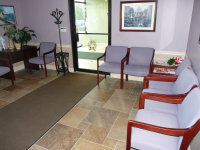 Our facility is owned and supervised by two board certified physicians who oversee all care provided to our clients. Please bring your prescription from your doctor (if you have one), along with your insurance card, comfortable clothing and drivers license. Yes. Each of our physical therapists is licensed to practice physical therapy in the state of New York, by the New York State Board of Medical Examiners. Are your therapists trained on site and have the continued education? Our goal is make sure that each patient is comfortable with their therapist. Due to the demand in our scheduling. you may see different therapists. 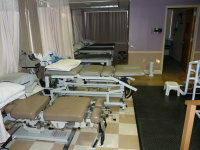 All physical therapy treatments are carefully tailored to the individual needs of each patient. In all cases, physician communication is initiated and a team-based approach is utilized to assist our clients in attaining their goals. Based on our initial evaluation and physician recommendations, we will establish a plan of care to meet our clients needs. How do you quality assure the treatments to see how a clients is progressing? A medical evaluation with one of our board certified supervising physicians will evaluate our clients progress after every 12 therapy sessions. Wear comfortable, fairly loose, clothing. Often times, people change into more comfortable clothing upon arriving at our office. So, if need be, bring a change of clothes and you can get changed before your appointment. We are located conveniently off the Northern State Parkway (exit 32S, Post Avenue). See our Maps and Directions page for detailed directions. We have a patient-reserved parking lot in directly in front of our office. Also, there are plenty of available parking spots on Asbury Avenue. Stuarts Taxi, All Seasons Taxi, and Able Ride are all available to you for a small fee. You can also Check the MTA. A bus stop is located directly in front of our building.